Four tornadoes touched down in Tennessee on Thursday, Feb. 7, prompting wall-to-wall storm coverage on local television stations in Nashville. 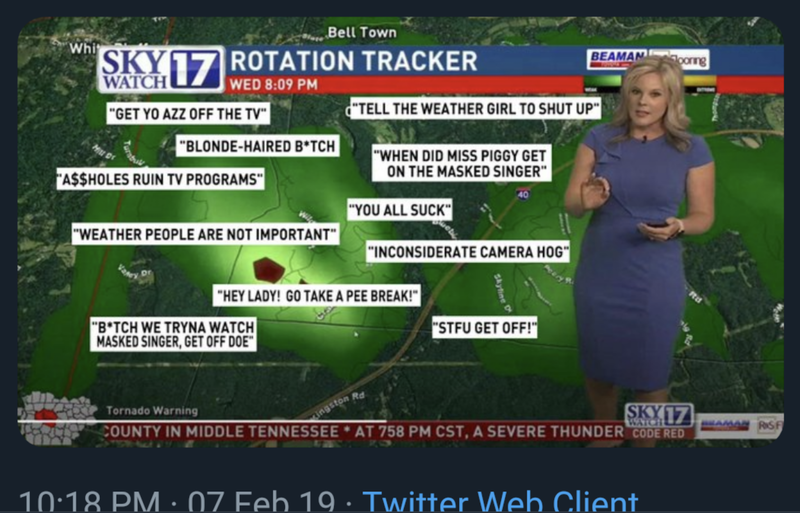 Following the severe weather warnings on Thursday, Chief Meteorologist at Nashville's Fox station WZTV Katy Morgan received harsh criticism due to the interruptions. The meteorologist took to Twitter to share some of the negative remarks that she received following the severe weather interruption.